1. Creating a new folder for your child theme. Naming it something like “Resca-child” is common. 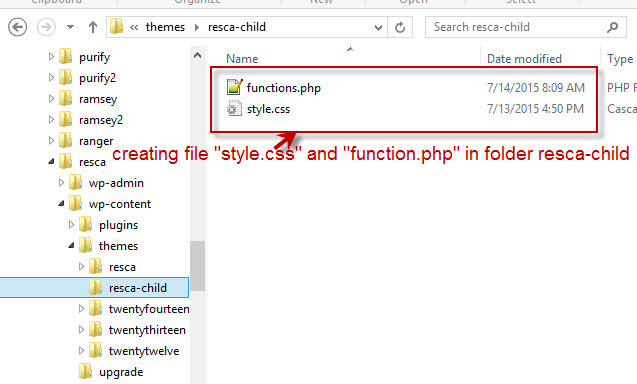 Within your new theme folder, create two files called style.css and functions.php. The most important part of this file is the “Template” which must be the same name with your parent theme. The folder of our parent theme now is “resca”. 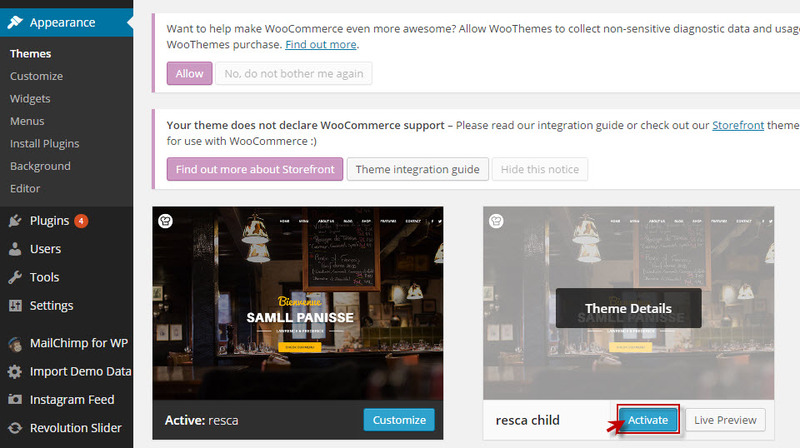 Your child theme is now ready to use.